This 26th International Kurdish Festival scheduled at Dinslaken was cancelled. First by the local municipality and then by court order the day before it was due to start. Members of the Imrali Delegation were invited to participate and deliver a speech at the event. On my arrival at Dusseldorf airport, I was dismayed to hear the news of cancellation. This year it was the Afrin Solidarity Platform who was responsible for organising the event. Each year the traditional festival since 1992 was a celebration by tens of thousands of Kurds and their friends in a show of solidarity with the Kurdish democratic and peaceful struggle; never any disturbance in 25 years. 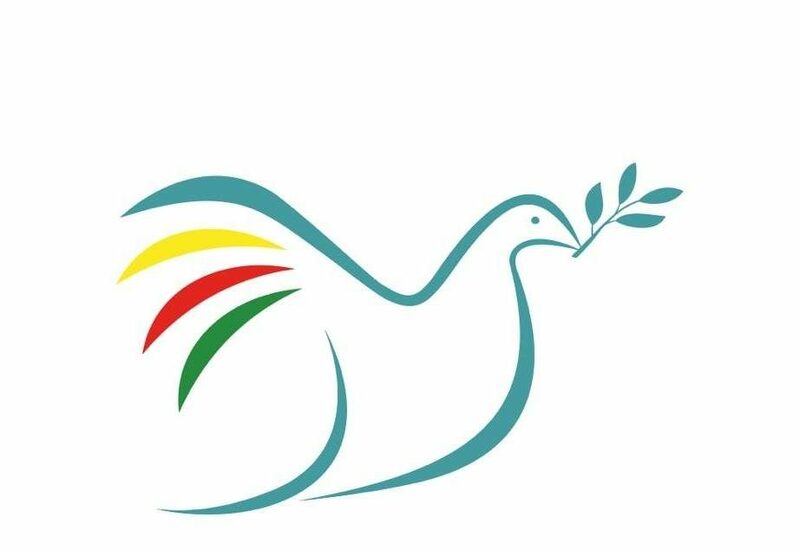 The 2018 event was to highlight the fact that the Turkish state has illegally bombed and invaded Afrin, a Kurdish majority region which has been a peaceful oasis in the war-torn country of Syria. It is a site of refuge and a stronghold of the Democratic Confederal Project. This criminal invasion has led to hundreds of deaths and a further wave of mass displacement. 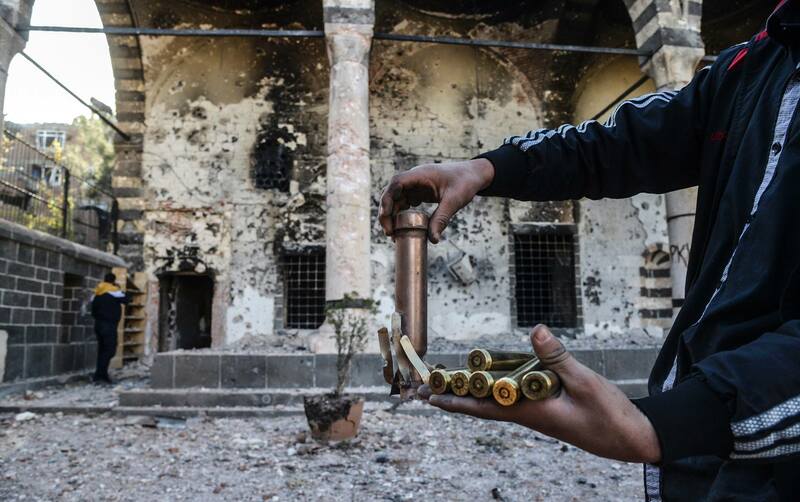 There is a clear indication of planned ethnic cleansing of Kurds. In fact it is clear the Turkey cannot tolerate a Kurdish presence so near the Turkish border. But the Kurdish people are very patient, resilient, inventive and creative. A new venue was immediately sought, officially secured and so a Rally could go ahead in the Oberkassel Fairground, a beautiful park on the banks of the river Rhine. Seemingly while a private event can be banned, a public demonstration is acceptable. But there are limiting restrictions. I was surprised to learn that no water could be bought, sold or given at the event. Food stalls were also banned – all for security reasons. I ask you! Most other communities or organisers would be up in arms or use their energy protesting, not the Kurdish community. They are so used to being denied, marginalised, and oppressed, that they have many contingency plans. On speaking to some of the organisers of the event, they told me that location, food or drink are only secondary to the opportunity to gather and celebrate their culture and working for peace and democracy. The reality is that in Turkey, the Kurdish community do not have any rights as such, the same oppression is applied in Germany. This is because of the economic connection, especially on the trade of arms and defence between the two states. In Turkey, the Kurdish people are automatically linked with the PKK – considered a terrorist organisation – hence the equivalent ban in Germany. Before the rally began, and as people were gathering, the police came and took away any flags depicting Abdullah Ocalan. In the process, one flag fell to the ground, the policeman deliberately trampled on the image; it would seem out of provocation. At this several young people rushed towards the police. The organisers of the event screamed at them to stop. If the confrontation had continued, who knows if the whole assembly could have been dispersed? Such is the provocation and deliberate humiliation on the part of some of the authorities. When, the Rally in the Park was organised to replace the Festival even more supporters and those who were already “in town”, joined in the event. We were able to have the singing, music and dancing in a real festival atmosphere in very pleasant surroundings. Those of us who were assigned to speak, delivered our speeches to the 5/6 thousand who assembled. There were members of Parliament representing the Kurdish Party in Turkey; local Representatives of support groups and three of us representing the Imrali Delegation. 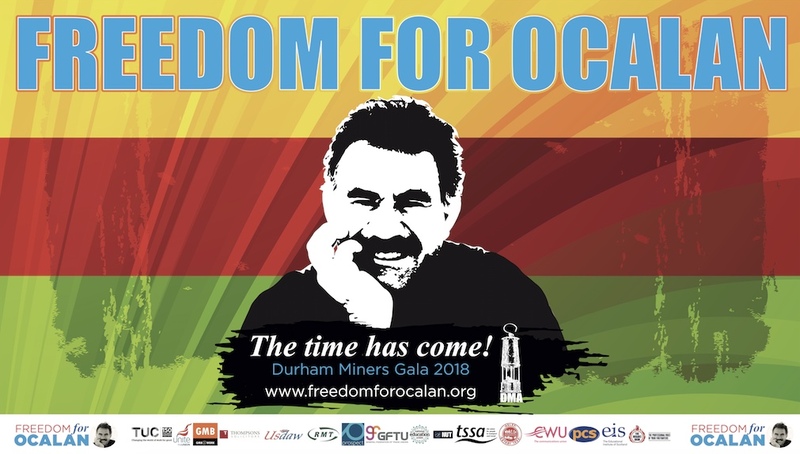 We are part of the group campaigning for the freedom of Abdullah Ocalan in solitary confinement on Imrali Island for nearly 20 years. We have made several requests to the Turkish Government to visit him in prison. No success. Even his family and lawyers have not been able to see him in 5 to 6 years, a very sad reality. Even though he is considered the “Nelson Mandela” of the Kurdish people and have promoted peace over many years, all to no avail. But we were there in solidarity with the Kurdish community. It was very intimidating to see such an extensive police present at the event. It was totally unnerving. But obviously indicating the presence of a perversive group! It was an honour to be part of the event. The hospitality and welcome we received was just phenomenal. The appreciation of our presence of solidarity was made very clear by all we spoke to individually and from the assembled crowd. It is frustrating, but we continue the struggle.